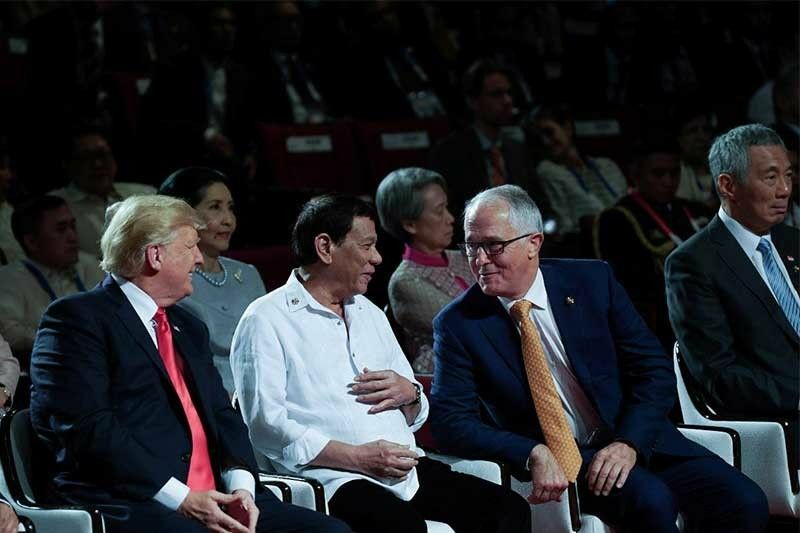 President Rodrigo Duterte shares a light moment with US President Donald Trump and Australia Prime Minister Malcolm Turnbull on the sidelines of the 31st Association of Southeast Asian Nations Summit and Related Summits at the Cultural Center of the Philippines opening ceremony in Pasay City on Nov. 13, 2017. Dr. Renato Cruz De Castro is a professor of International Studies at De La Salle University. He is also a trustee and convenor of the National Security and East Asian Affairs Program of Stratbase ADR Institute, a partner of Philstar.com.